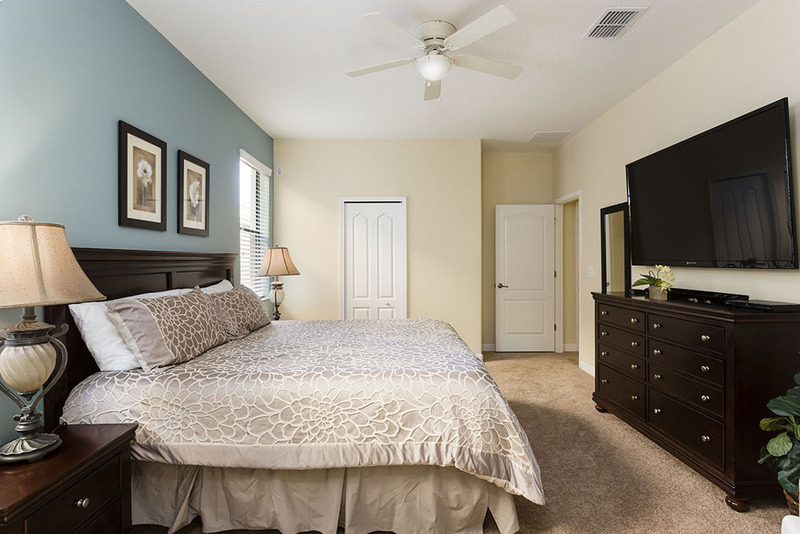 Champions Gate offers luxurious, privately owned family pool homes, just minutes away from Walt Disney World and within easy reach of all major routes to Orlando's amazing attractions. 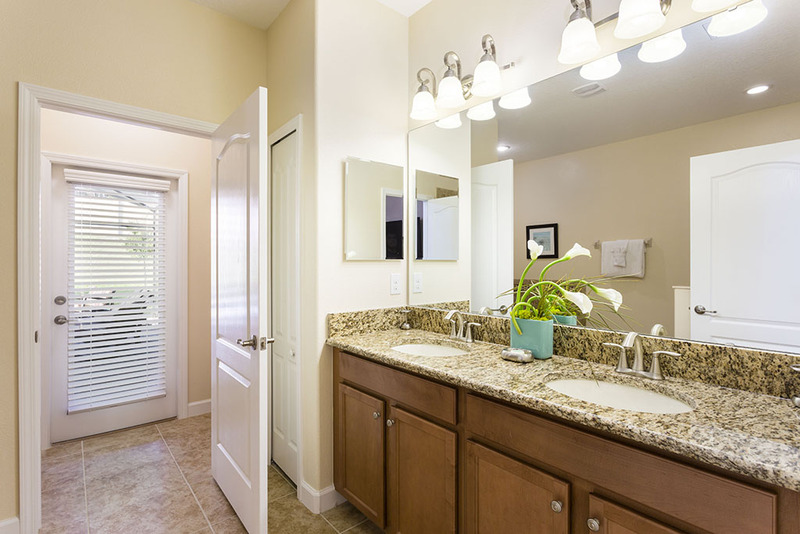 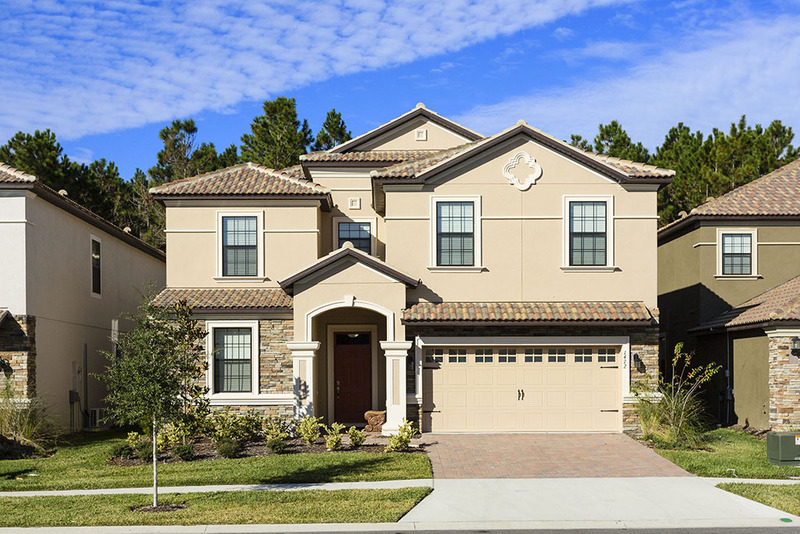 The beautiful 'Retreat' area of Champions Gate has recently developed as one of the most popular and highly sought after luxury communities in Central Florida, thanks to its affordable, yet stunningly luxurious vacation homes. 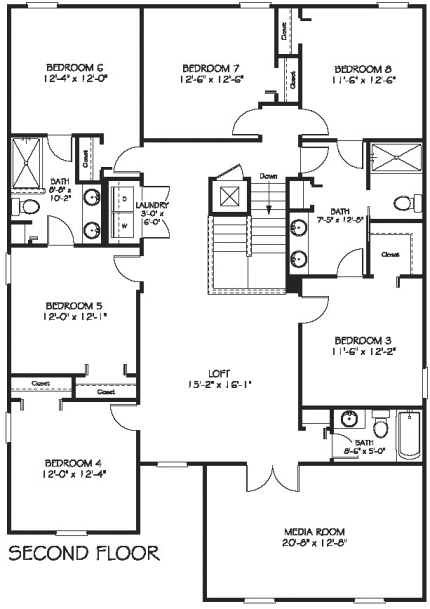 This fabulous 8 bedroom 'Maui' design offers the benefit of the developers wealth of experience in designing perfect vacation homes. 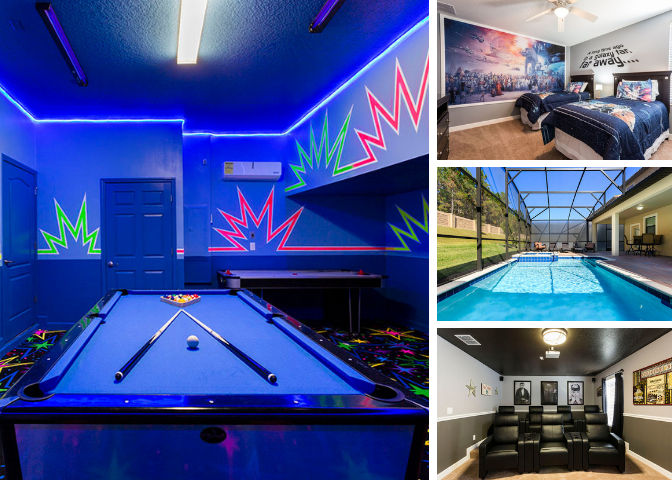 Created for the modern vacationer, this amazing home is built with fun, privacy, luxury and convenience in mind, particularly for the growing number of guests that love to share their precious vacation times with their closest family and friends! 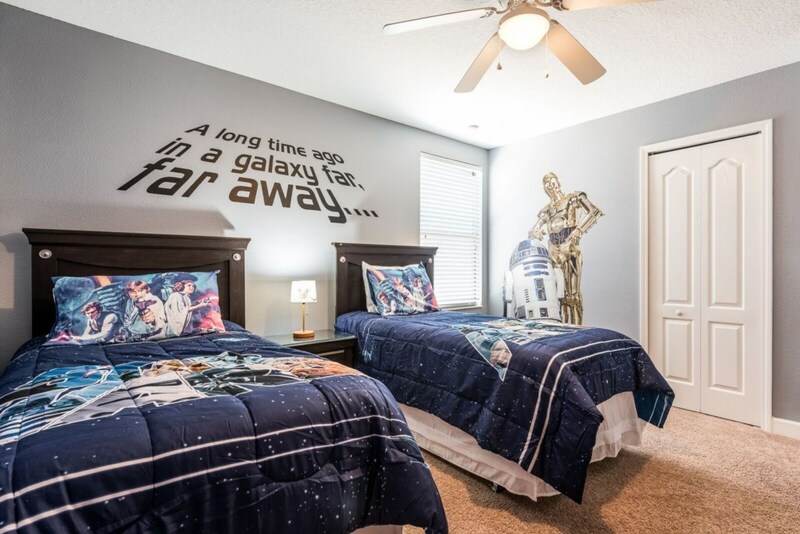 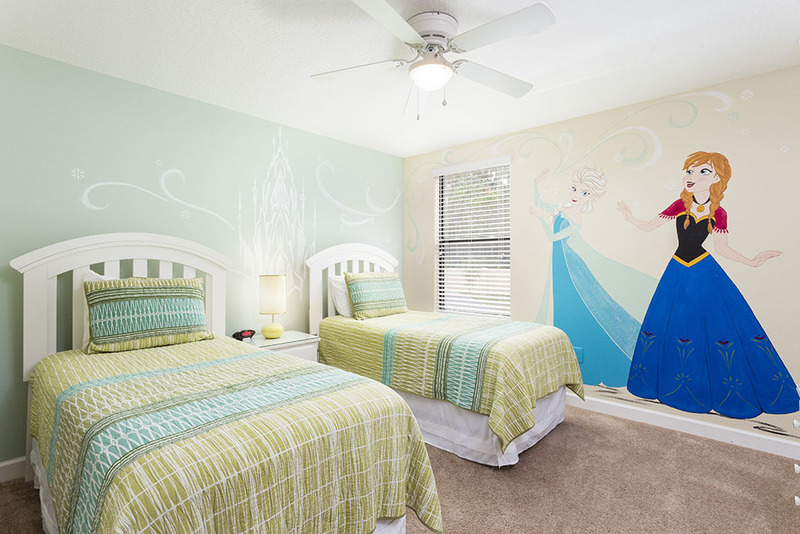 Book this amazing home and share a dream trip to Orlando with the ones you love! 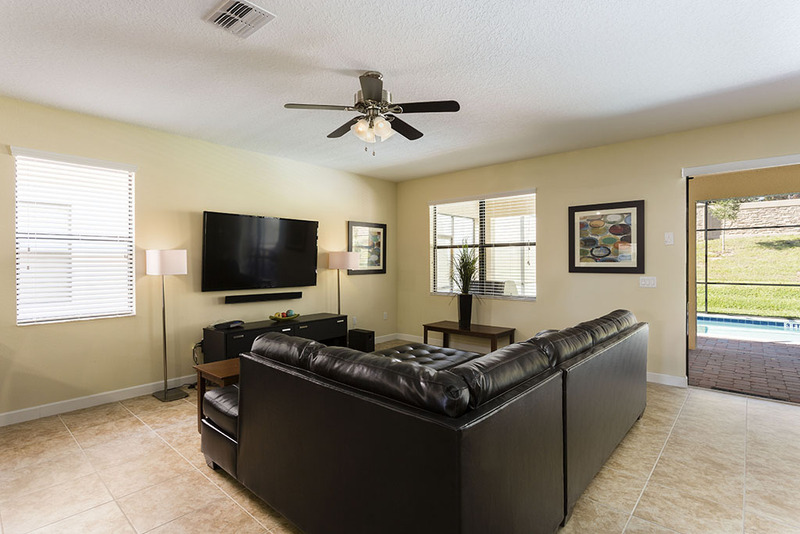 This beautiful pool home is the perfect choice for large family groups, golfers and corporate guests heading to the Sunshine State for a dream vacation, golf safari or business event. 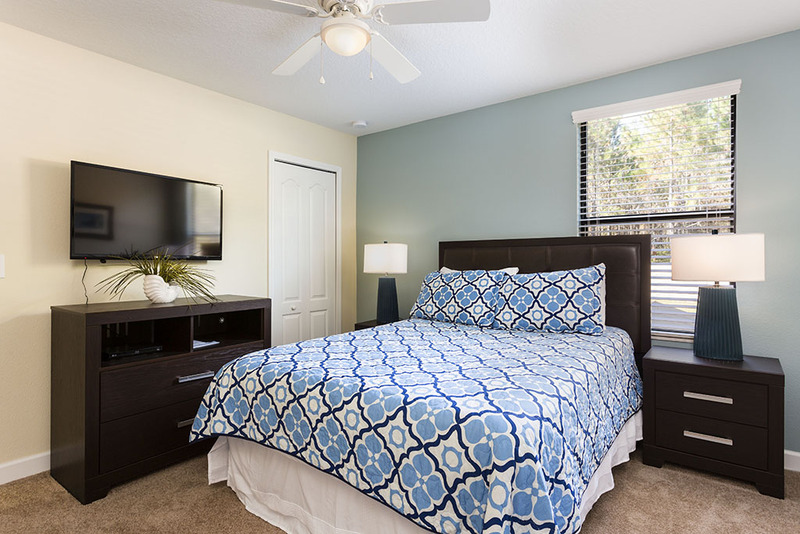 Conveniently located in the heart of the tourism and conference areas of Orlando, your journey times are kept to a minimum thanks to the easy routes and access to the main attractions and event venues within the region. 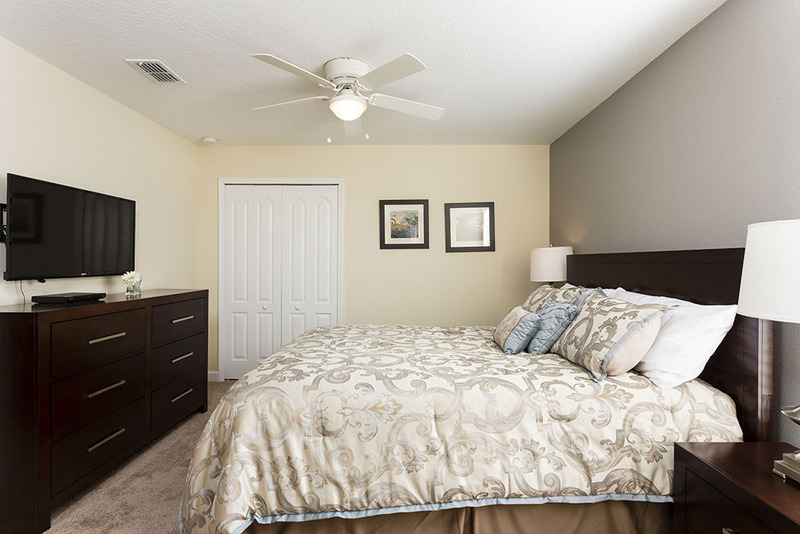 Two fabulous floors of living and bedroom space create the ultimate luxury rental home for large groups of guests. 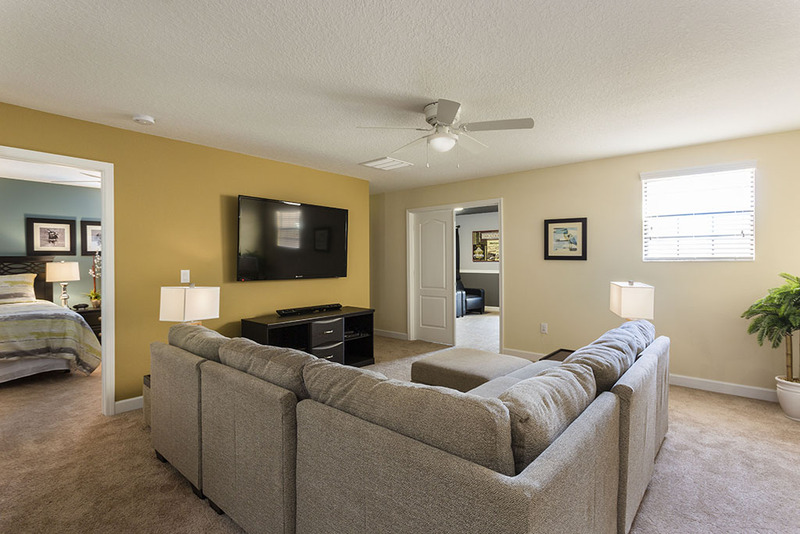 The ground floor family area provides a spacious fully equipped kitchen with 5 seat breakfast bar and the comfortable TV lounge area with sectional leather sofa adjoining the formal 8 seat dining area. 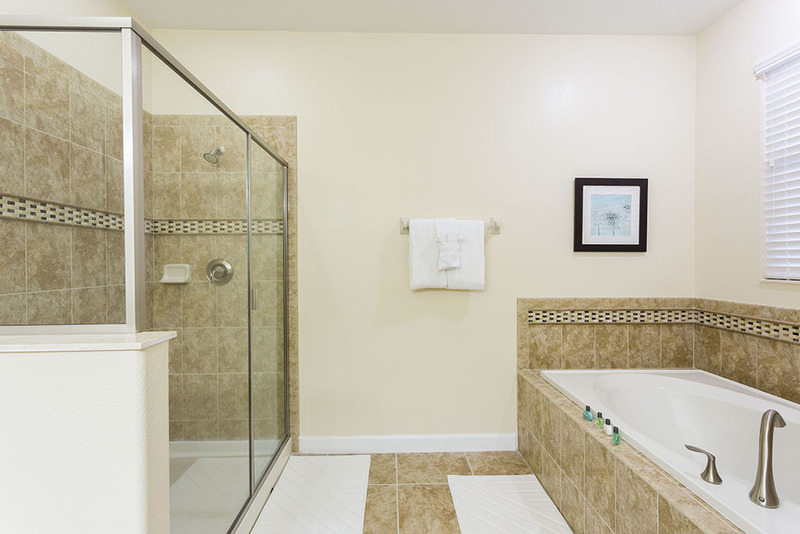 With easy access out onto the screened pool deck via the large glass sliding doors your guests will love the chance to relax by the pool or completely wind down in the splendid spa. 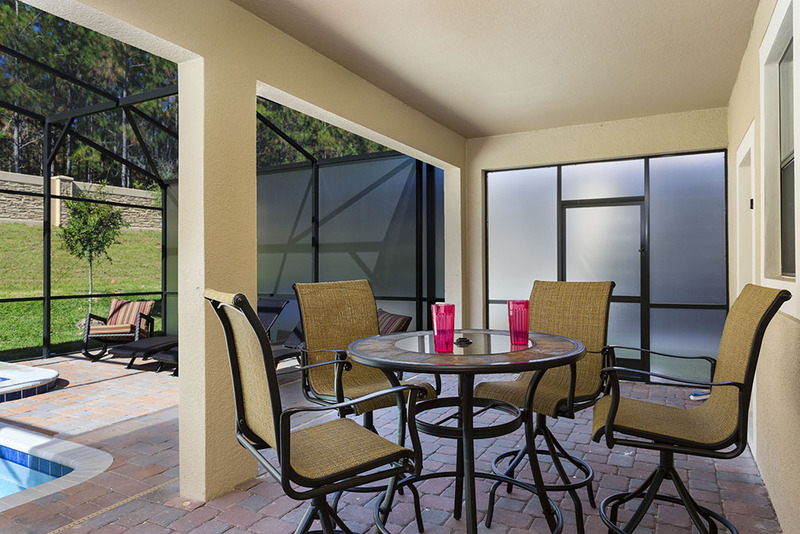 Those comfortable lanai furnishings, the indoor and outdoor living spaces become one, thanks to the amazing climate here in Florida. 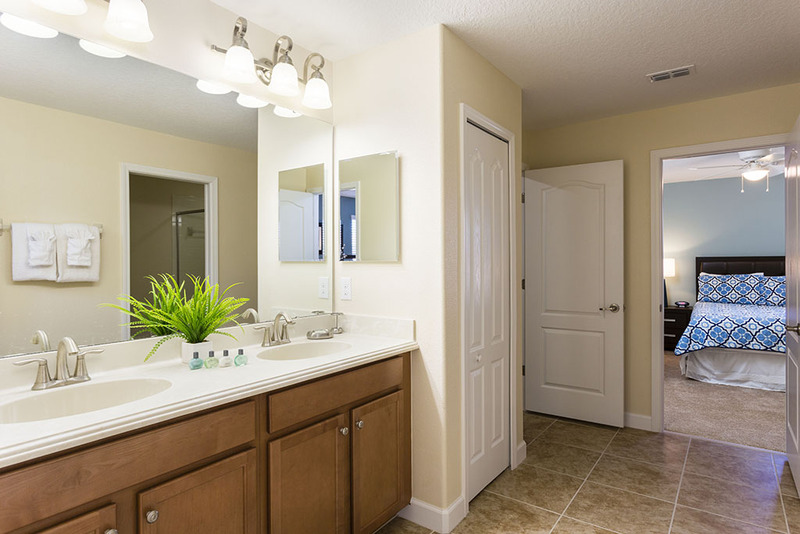 Whether you've had a busy day at the parks, or an incredible day on the local golf courses, that inviting pool works well with a cool beer or delicious cocktail! 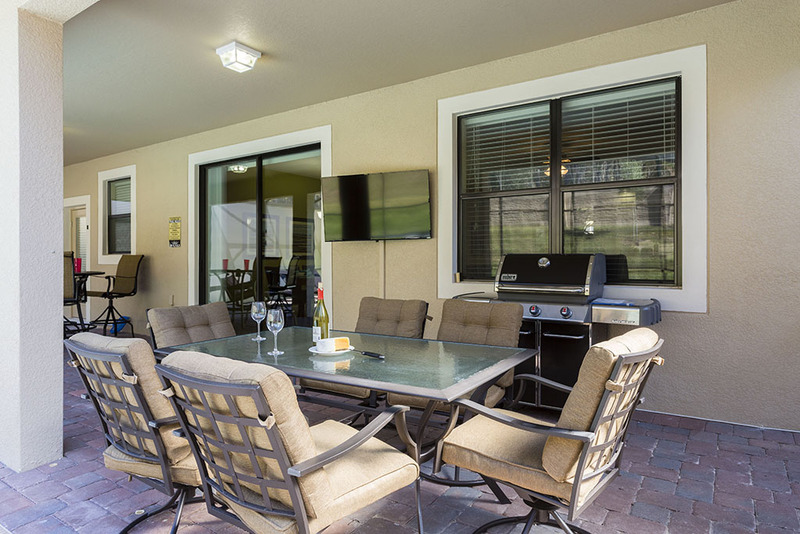 With a TV located in the lanai area, guests can watch connect to the Internet via the outdoor TV and enjoy your favorite Netflix movies and TV shows. 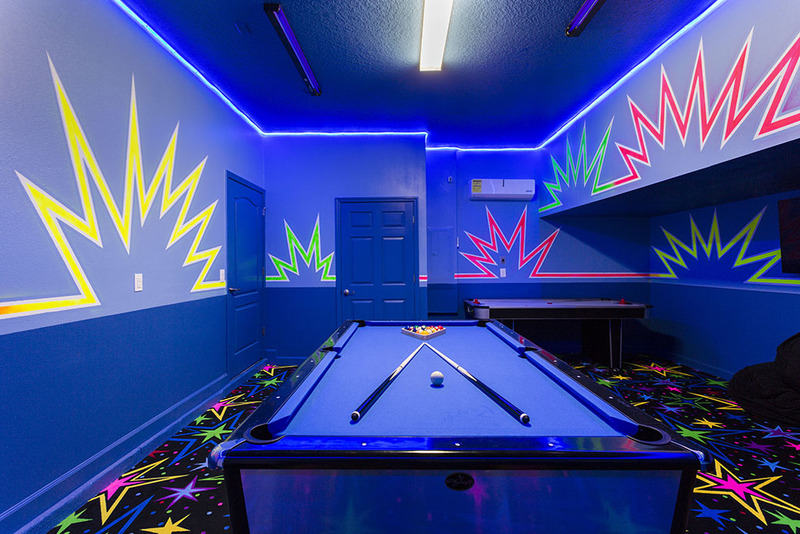 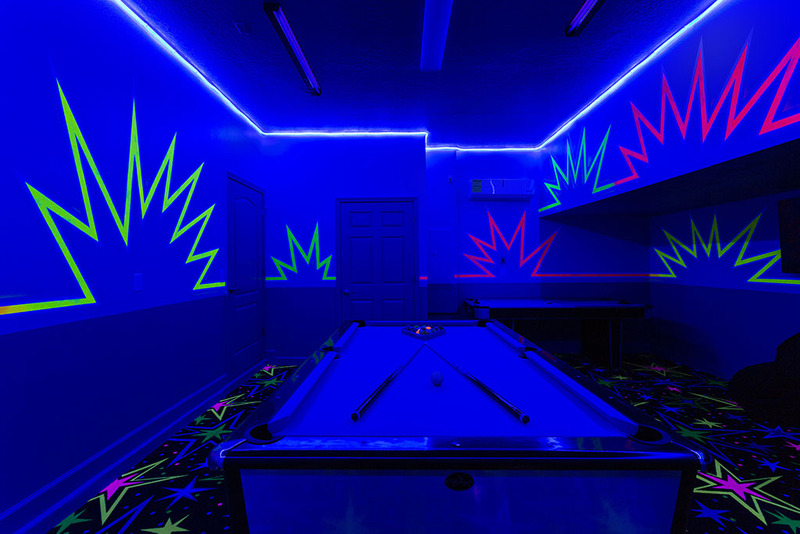 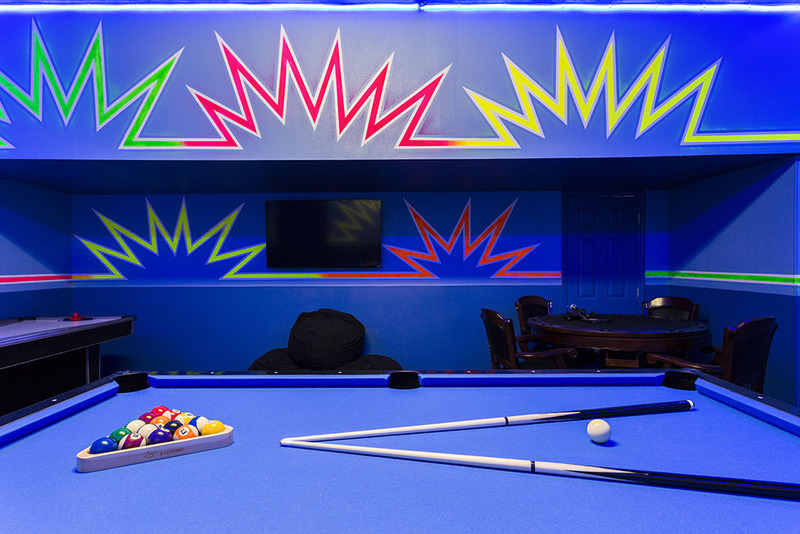 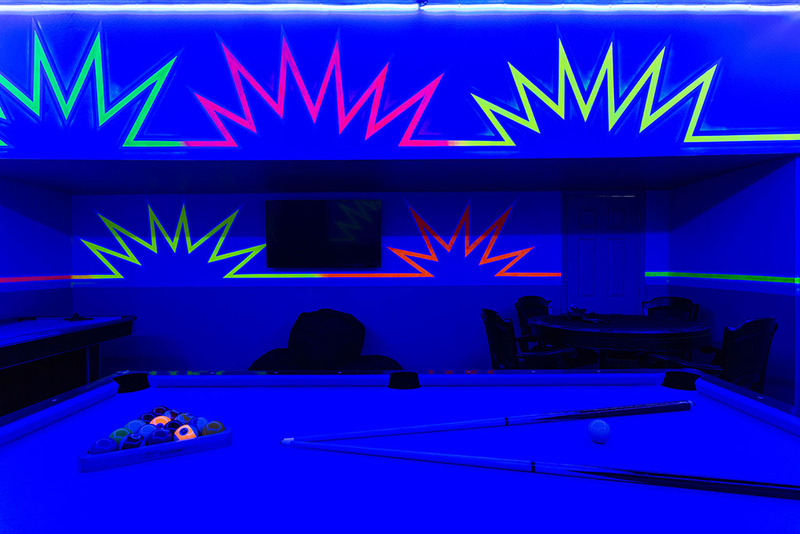 The fully equipped air conditioned games room includes exotic, multi coloured lighting, a full sized slate pool table, a poker table, air hockey and a TV with Xbox One. 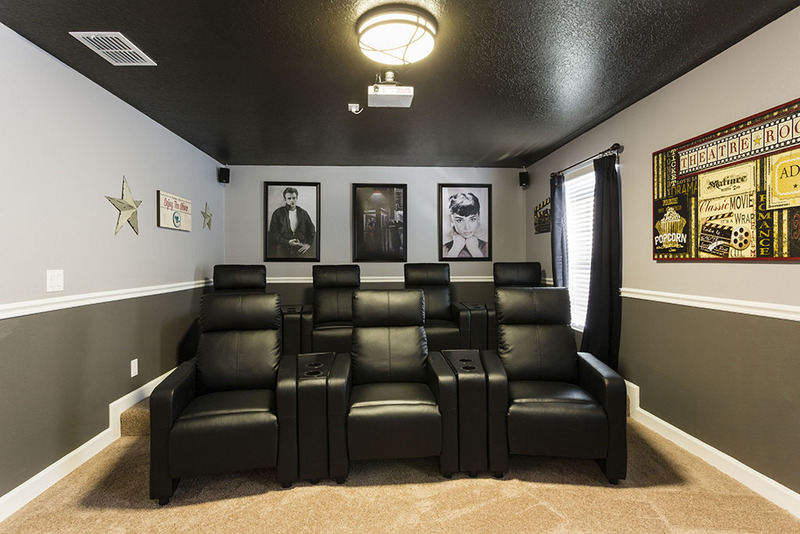 An additional TV lounge area in the upper floor's loft area includes a comfortable sectional sofa for guests to relax, connect to the homes WiFi or read their Kindle in peace! 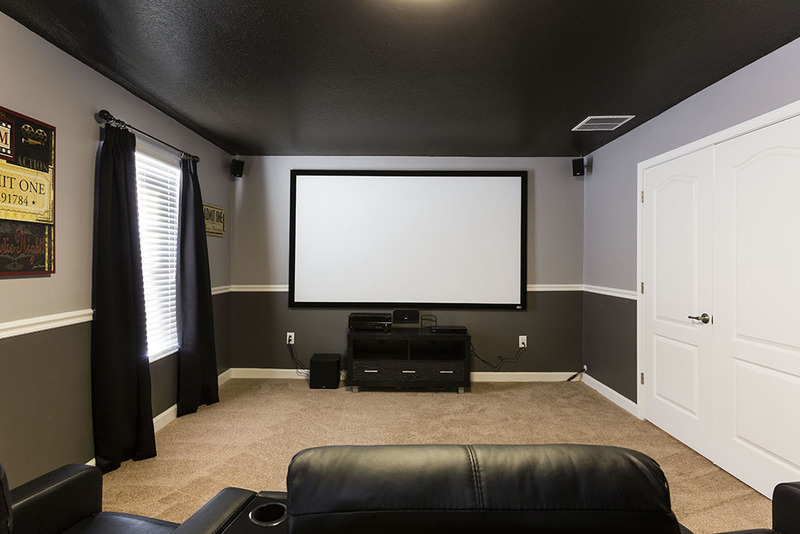 The spacious 7 seat tiered cinema room includes a huge 110 inch screen, for guests to catch their favorite movies in luxurious surroundings! 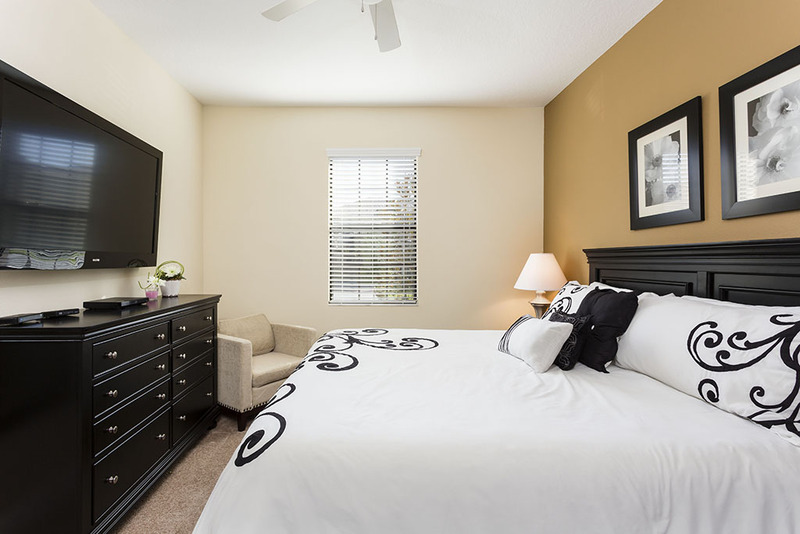 With two spacious and luxurious king sized master bedroom suites located on the ground floor, guests can enjoy the privacy and convenience of not needing to negotiate the stairs. 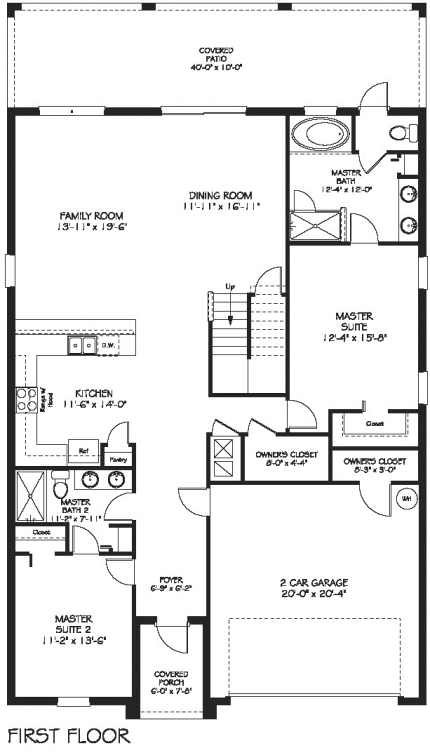 Upstairs, this amazing layout, offers 6 further bedrooms, 2 with private suites and 2 sharing a 'Jack & Jill' style bathroom and 2 with access to family bathrooms. 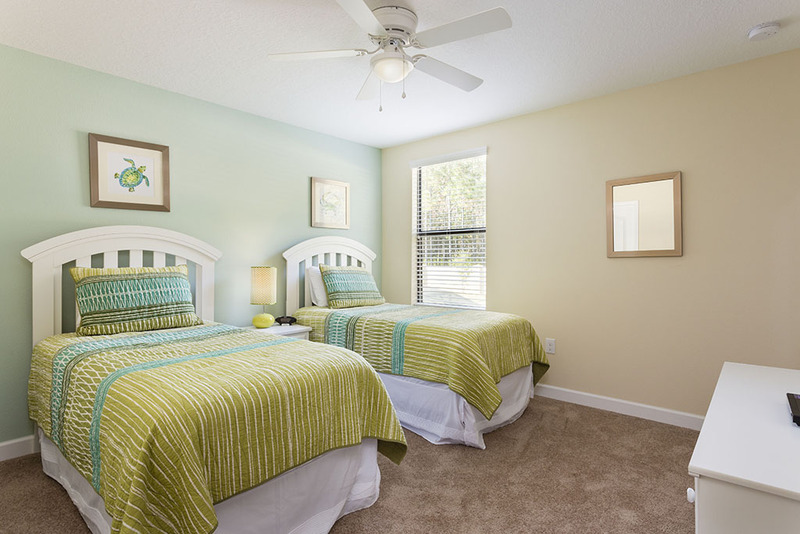 A further king sized room, 2 queen sized rooms and 3 rooms, each with two twin sized beds, provide room for up to 16 guests, making this a perfect choice for groups of golfers, or large families heading for a theme park adventure! 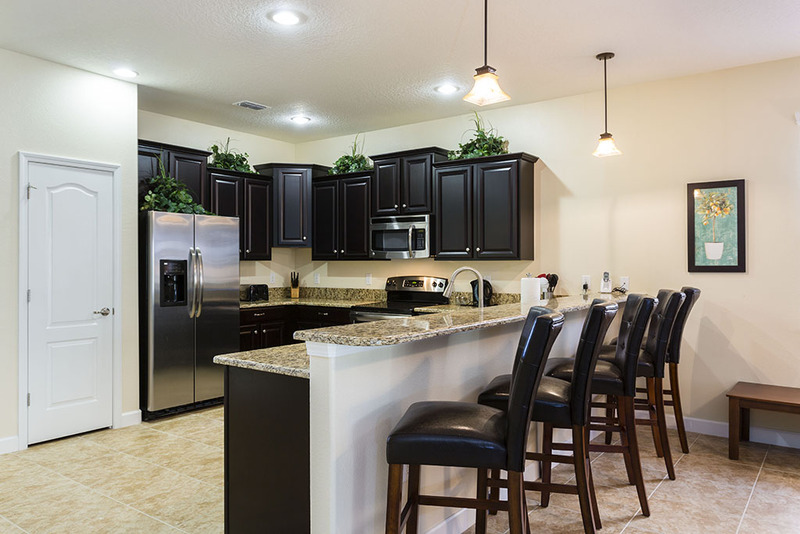 This truly is one of the most incredibly well designed homes for large groups! 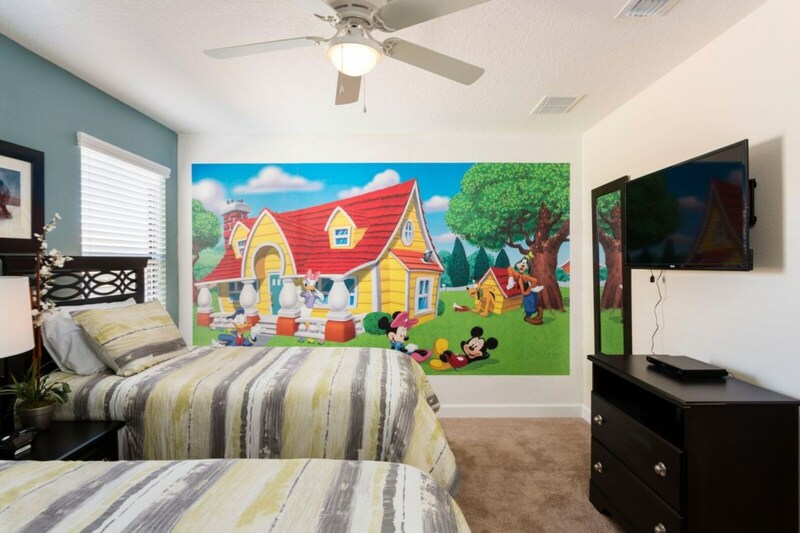 This incredible home is perfect for family and friends with kids of all ages sharing a dream Orlando vacation! 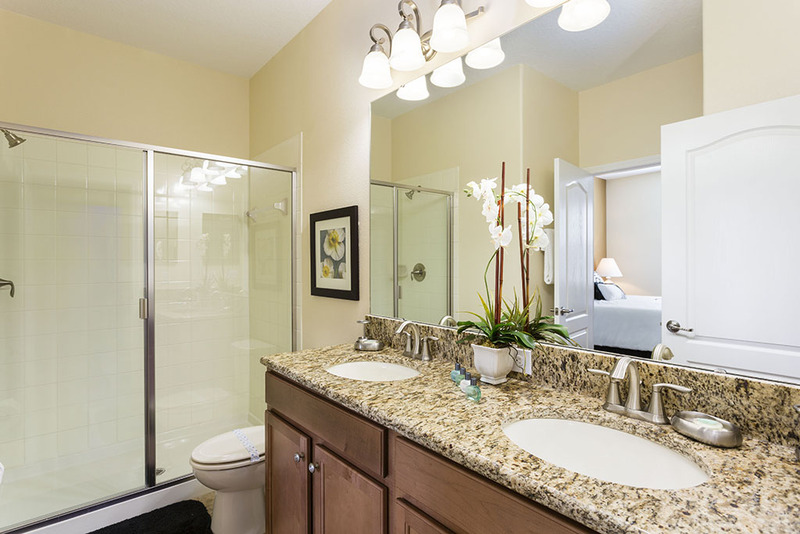 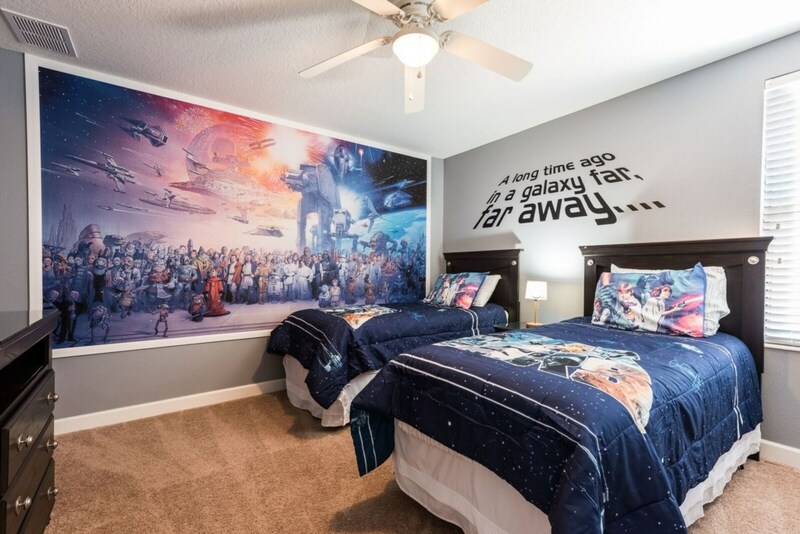 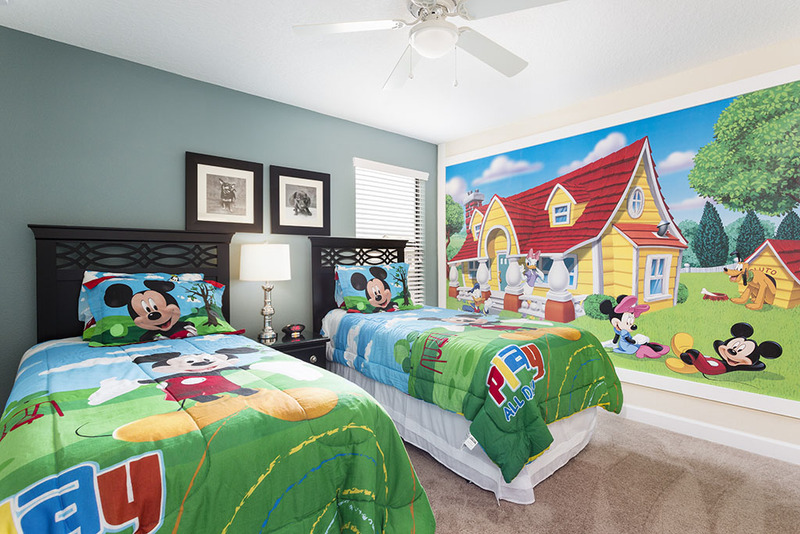 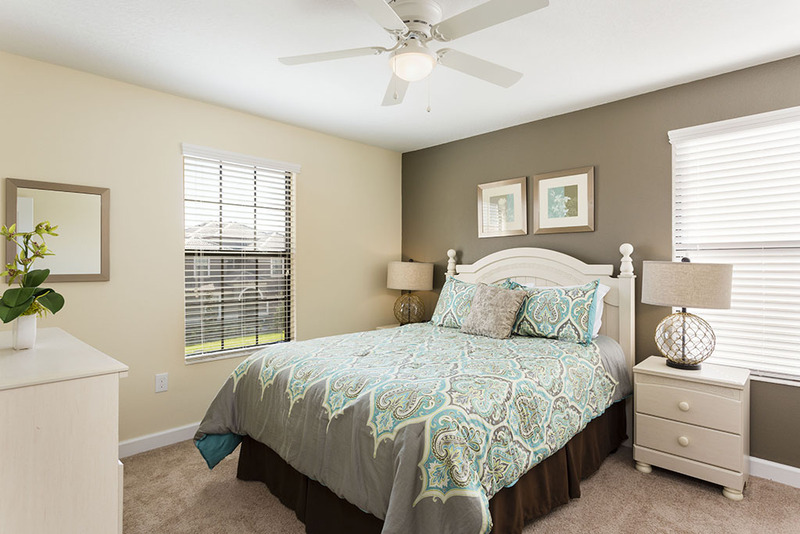 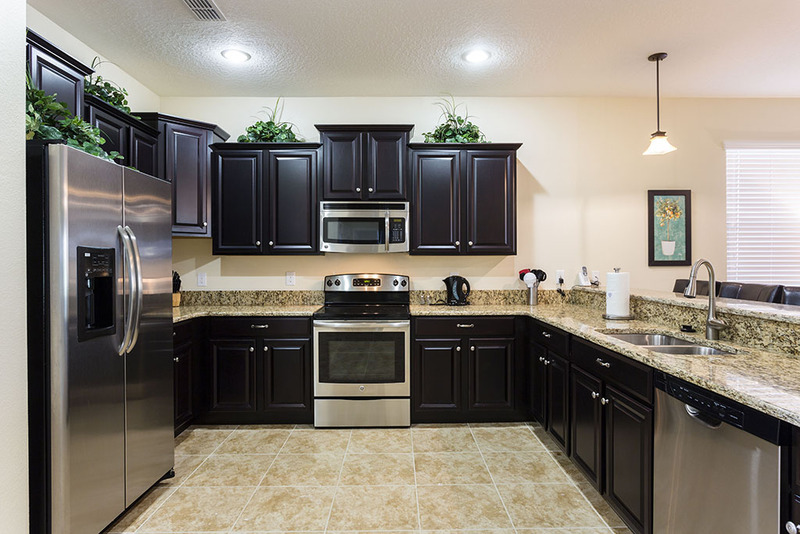 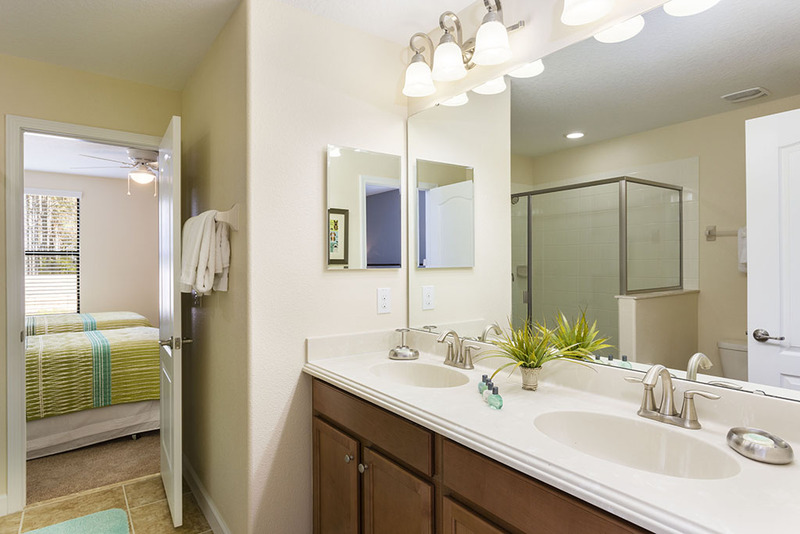 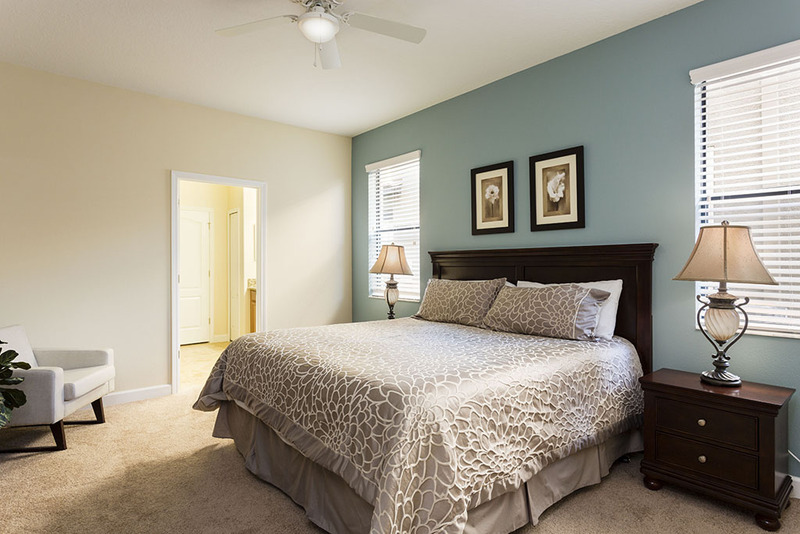 Located around 14 minutes from Disney the popular Champions Gate resort near Davenport is an ideal choice for families wanting easy access to all of Central Florida's theme parks and attractions. 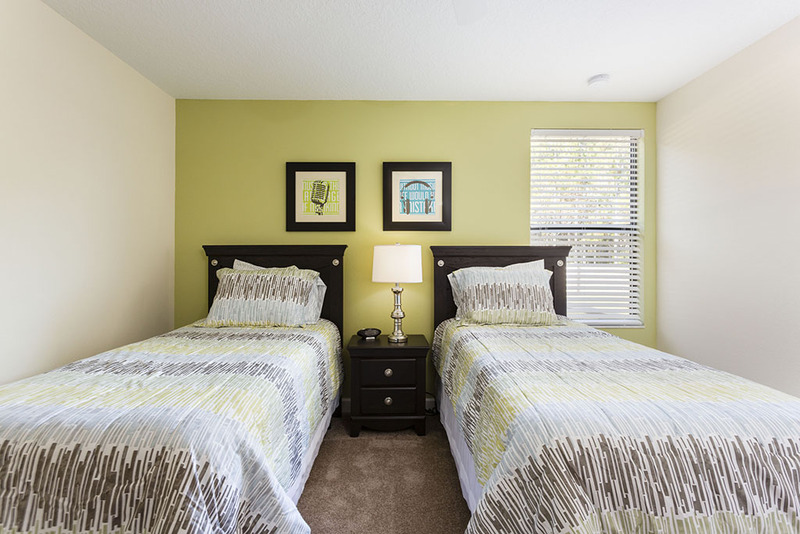 With Orlando International Airport just under 30 minutes away and the Gulf and Atlantic Coasts both an hour or less away, you are also well placed if you need to explore further afield! 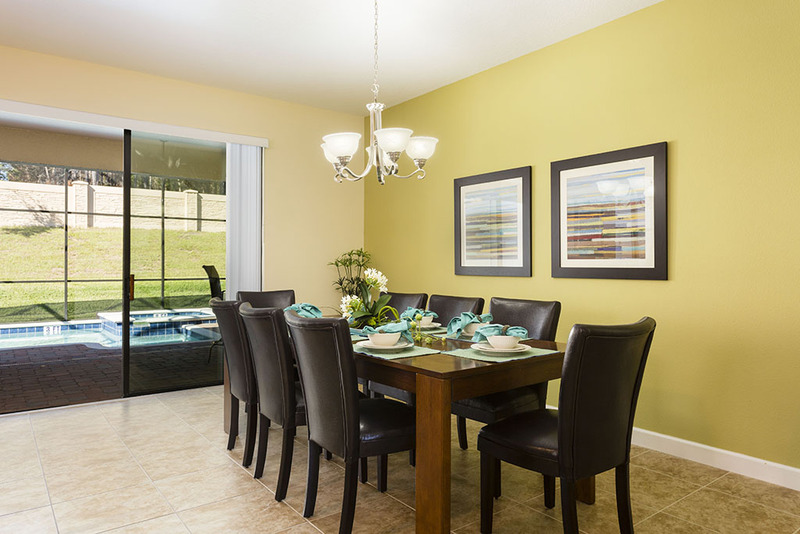 Champions Gate is a very short drive away from excellent grocery stores, retail parks and family friendly restaurants along the 192 and 27 routes. 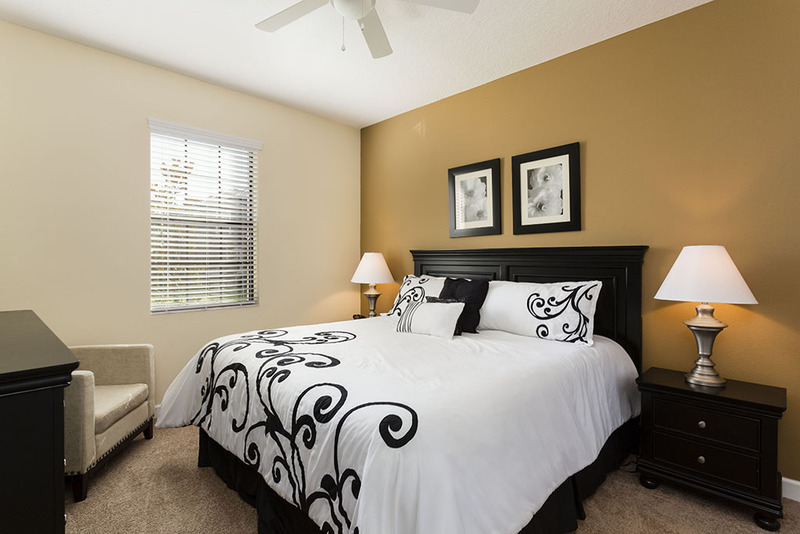 Best of all, Champions Gate offers that glorious 'year round' Florida sunshine!